Oh, the backpack. The simple, yet incredibly useful tool for easily storing and transporting gear is one of the best companions a traveler, hiker, or Average Joe could ask for. Backpacks are fairly ubiquitous in modern society and they range from teeny tiny little daypacks to the great big behemoths favored by backpackers and mountaineers. Despite their popularity, however, most people wouldn’t be able to clearly articulate the difference between a climbing daypack and a cycling backpack. Although the differences might seem small at first, they can have a huge effect on a pack’s performance and your satisfaction with it. Thus, before you buy that new backpack, make sure you understand what you’re getting yourself in to. To help you out, we’ve compiled this list of the different types of backpacks you might encounter so you can go out into the world more knowledgeable about the different packs you might encounter. Hiking daypacks are probably the most popular style of daypack as they tend to be simple, yet versatile. Generally speaking, hiking daypacks are between 10-45L in capacity, though smaller and larger options do exist. Daypacks smaller than 10L are usually used by runners and ultralight hikers while packs larger than 55L are commonly seen in the mountaineering and climbing communities as these folks tend to have a lot of gear. Hiking daypacks come in two main styles: top access and front access (sometimes called panel access). Top loading packs have a drawstring at the top that cinches them closed and they often have a floating “brain” or top lid for storing items that need to be accessible. Front access packs are more akin to the backpack you probably brought to school as a kid. These packs have one or more large U-shaped zippers that open up into different compartments for storage. Whether you want a top or front access hiking daypack, however, is a matter of preference. Moreover, although they’re considered “hiking” daypacks, these packs are also useful for other activities or just for walking around town as they tend to be quite versatile. Unlike hiking daypacks, climbing daypacks are specifically designed to meet the needs of climbers. While you could use a hiking backpack for climbing, many climbers find that these packs just don’t have the right shape or capacity to fit all their gear. Plus, climbing daypacks often have straps meant to attach ropes to the outside of your pack or have a special exterior pocket for a climbing helmet. That being said, there are many different kinds of climbing and many different types of climbing daypacks. Sport climbers often enjoy simple top-loading daypacks that can easily hold a rope and have a small attachment point to hold their quickdraws (a type of climbing protection). Mountaineers and alpinists, on the other hand, need a lightweight pack that can support a lot of weight and hold a lot of gear. The vast majority of multi-discipline climbing packs will feature hip belts with gear loops (for holding carabiners and climbing protection), a system for storing a helmet and a rope, and straps for securing ice tools or axes. Climbing daypacks can certainly be used by non-climbers, but they have a lot of activity-specific features that would go to waste in other applications. Cyclists have a lot of unique backpack needs that are overlooked in a general daypack. The vast majority of road cyclists need a small daypack that can hold water, snacks, and maybe an extra layer or two, depending on the weather and the length of their ride. Mountain bikers, especially those in remote locales, might need to carry more gear, like a first aid kit and protective gear, so they might want a bigger pack. That being said, regardless of the type of cycling one does, most cycling packs have similar features. Cycling daypacks are usually hydration system-compatible as many cyclists prefer using these systems while riding. These packs are also often designed to be aerodynamic and light, so as not to impede with performance. Finally, many cycling daypacks will include some sort of clip for attaching a helmet during transport. If you’re someone who works a 9-5 job in an office in between adventure days, you probably have to commute to the office, even if it’s just a short walk down the street. These days, you probably bring your own laptop to the office and perhaps even pack a lunch to save some of your hard-earned cash money. A work daypack is extremely useful for transporting critical items to and from the office each day, especially if you walk, cycle, or take public transportation to get there. Work daypacks vary widely in style, but basically, all have the same function, to hold your possessions and keep it safe as you go to and from work. Most modern work daypacks try to blend together a bit of style and functionality, but you’ll certainly find models on either end of the spectrum. That being said, most work day packs will, at the very least, have a laptop sleeve and a variety of pockets. Some work daypacks are your standard backpack-style pack while others opt for an over-the-shoulder bag that’s great for laptops. Those of us who live in rainy environments, however often enjoy a work daypack with some semblance of waterproofness, so that’s another feature to consider. But, regardless of your needs, there’s a work daypack out there for you! The type of snowsport daypack you might want depends greatly on whether or not you ski or ride mostly in resorts or mostly in the backcountry. While resort skiers usually carry a backpack to hold the clothing and shoes they wore to the resort or maybe a pack lunch, backcountry riders need to carry a large amount of clothing, food, water, avalanche rescue gear, and climbing equipment. Thus, most resort skiing backpacks tend to be small and simple. What’s important here is that a resort skiing backpack doesn’t interfere too much with your ability to get on and off a chairlift. Although many resorts require that you take your pack off and hold it while you’re on the lift, there are times where you’ll find yourself sitting on a lift with your pack on. The very last thing you’d want at this moment is to have one of your buckles get caught on the chair as you try to get off, so it’s best to look for a simple pack with minimal frills. Backcountry skiing and riding packs are often similar to mountaineering backpacks, but usually, have a separate compartment for avalanche rescue gear. This extra compartment makes it easier to quickly access this life-saving equipment in an emergency. Moreover, backcountry snowsports packs usually have some method for carrying skis or splitboards for when you’re hiking up steep terrain to the top of a line. If you’re heading out on a multi-day adventure, you’ll likely need to carry more gear than a traditional daypack would allow. Although there are some daypacks that encroach upon the 45-55L capacity range, these packs are often for climbing and mountaineering, which requires a lot of gear. The size of the hiking backpack you need is really dictated by the length of the trip you’re going on. Someone embarking upon a single overnight trip can usually get away with a smaller pack than someone going out for an Appalachian Trail thru-hike. However, depending on your experience level and the type of gear you own, you may be able to squeeze your gear into a smaller pack. Backpacks in the 40-60 liter range are most often used by people heading out on an overnight or weekend backpacking trip. Since these people usually bring a relatively small amount of food, fuel, and gear, they don’t require as much space as someone on a longer trip. That being said, ultra-light backpackers can often fit a week’s worth of supplies into a 60L pack (or smaller! ), so these size ranges are more like guidelines than hard-and-fast rules. Modern 40-60 liter backpacks that are specifically designed for wilderness backpacking usually have an internal frame and suspension, a main top-loading compartment, and one or more zippered pockets, though this varies from model to model. Moreover, many of these packs are also hydration-system compatible, have water bottle pockets, and have various straps and attachment points for ice axes, sleeping pads, and other gear. Multi-day backpacks are much like their smaller siblings, the weekend backpacks, but are – you guessed it – larger. With the exception of the ultra-light backpackers among us, multi-day backpacks are most commonly used by people on 3-7+ day backpacking trips, where they need to carry significant amounts of food and fuel between campsites. Within the multi-day backpack category, however, there is a wide range of different sizes, from the relatively small 65-liter pack to the behemoth 100L pack. Although this really all depends on how much gear you need to carry, most 3-5 day backpackers can make do with a 65-85 liter pack while those of us out for more than 5 days, or out in cold weather, usually need something larger. These packs really aren’t too different from weekend packs beyond their size. However, multi-day packs are usually better designed to handle very heavy loads (think 60+ pounds) than your standard weekend pack is. Although it’s unlikely that your weekend daypack would just snap apart under that weight, it most likely won’t feel terribly comfortable. Larger packs, on the other hand, usually have more padding around the hips and shoulders and are better designed to distribute the weight of heavy loads. These days, the vast majority of backpacks (save for some ultralight varieties) come fully outfitted with a rigid frame system that helps support you as you carry heavy loads. These frames can help distribute the weight along your torso and make things a bit more comfortable. Most modern backpacks feature an internal frame, which means that this rigid structure is integrated into the backpack, usually along fabric panel that rests on your back. Internal frames packs tend to be lighter and less bulky than their external cousins. They also tend to better contour to your body than external frame packs so you feel less like the pack is pulling you backward. That being said, the weight savings of an internal frame backpack does cost you in another department, namely in breathability. Since these internal frames rest along you back, we tend to get really sweaty when we wear them. Many companies have tried to combat this issue by using moisture-wicking fabrics and some cool ventilating features. External frame backpacks have, as you might have guessed, their frames on the outside of the pack. This is the opposite of an internal frame pack, which has an integrated frame, but both come with their own advantages and disadvantages. Although external frame backpacks tend to be a bit heavier and bulkier, the central mass of the pack usually sits a few inches away from your back, so you’re less likely to suffer from excessive back sweat. This can be really nice in hot and humid environments, where anything that can reduce your overall sweat output is awesome. When you’re traveling, the functionality of your luggage can make a huge difference in your mobility, especially when you’re walking or taking public transport. Although it can be convenient to wheel your hard-sided suitcase around the airport, once you leave the sterile environment of a modern airport and try to roll your suitcase around town, you might regret your decision. Long term travel backpacks tend to be popular among a younger crowd, especially those of us who embark on months- or years-long trips. For the most part, travel backpackers use the same packs that your standard wilderness backpacker would use, though there are some travel-specific long-term packs out there. 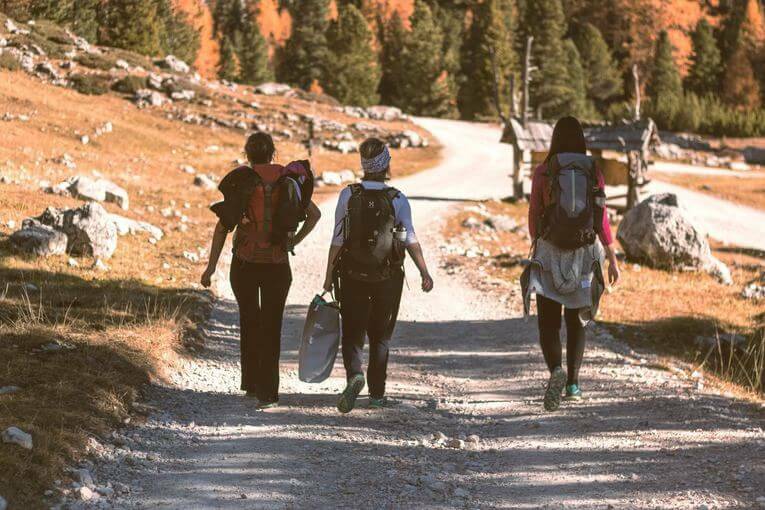 Although everyone’s situation is different, many long-term backpackers need a pack that can carry a decent amount of clothing and personal items to account for a variety of different conditions. Long-term backpackers also often appreciate a pack that is easy to carry as they often need to lug their possessions from place to place. Additional pockets, straps, and the like are found on long-term traveling packs, too, as they make it easier to keep things organized after months on the road! Oh, the carry-on bag. Best friend of budget travelers, the carry-on bag is the go-to luggage item for the vast majority of airline passengers who don’t check a bag or just have so much stuff that they also need to bring some into their cabin. These bags are extremely useful for transporting valuable items that you don’t want to check or items that you’ll need during the flight, so they’re a must-have for a frequent flier. Unfortunately, airlines have become incredibly stingy when it comes to carry-on bags, so you need to make sure you pack is exactly the right size for the airline you’re flying. It’s a great idea to jot down the maximum carry-on size from your airline and use those measurements to guide you as you choose a carry-on backpack. If you travel frequently and aren’t loyal to a particular carrier, we recommend opting for the smallest carry-on size because some of those European budget airline carry-on sizes are really small! These bags are usually well equipped to hold a laptop, food, water, books, neck pillows, and other traveling necessities. They should be large enough to carry what you need but also small enough to fit in the overhead bin, or you’ll risk having your bag get gate checked. If you’re a frequent flier, you’ll also want to make sure your bag feels comfortable when you carry it because you’ll spend a lot of time walking with it through various airports! If you travel with a laptop, it’s nice to have a dedicated laptop bag to carry it around. While you could just toss your laptop into any old backpack, with something as valuable as a laptop, we want to protect it as much as possible. This is where the laptop backpack comes in to play. A computer bag can take many forms, but usually, it has a padded laptop-specific pouch along the back panel. This pouch is great for housing and protecting your laptop, but it also makes it much easier to move your computer in and out of your pack when you’re moving through airport security. When buying a laptop backpack, you definitely want to make sure that the laptop pouch is big enough to house your computer. Especially if you own one of those large PCs, you don’t want to get stuck with a backpack that’s a bit too small to do its job. Other things to look out for are comfortable backpack straps (laptops are actually quite heavy!) and waterproof fabric to protect your laptop from the elements. Anyone who travels frequently on planes knows how much of a drag getting through security can be. Although we greatly appreciate the work that security officers do to keep us safe when we travel, no one likes having to take their large electronics and liquids out of their bags at security checkpoints. To make your life easier when you travel, you could get yourself a TSA friendly backpack, which meets the TSA’s requirements for a checkpoint-friendly bag. Effectively, any backpack that can be considered “TSA friendly” has a dedicated laptop-only section with no pockets, snaps, zippers, or buckles. The laptop-only section also has to be able to completely unfold from the bag so there’s nothing sitting above or below the computer. These requirements are pretty strict, and if you don’t follow them, a TSA agent might ask you to take your laptop out anyway. But, if you follow the rules and use a TSA-friendly backpack, it can make your travel day that much easier. If you’re the type of person who likes to travel with just a bit more stuff than they probably should, a wheeled backpack can make it easier for you to get around the airport or around town. Wheeled backpacks are essentially a hybrid between a traditional backpack and a wheeled carry-on suitcase. They combine the best of both worlds for people who have too little luggage to warrant two bags but too much to be easily carried around. A wheeled backpack usually has shoulder straps for easy carrying up and down stairs, as well as two-four wheels for zooming down a hallway. Often, these wheeled backpacks have an abundance of pockets, straps, and the like for making organization easier when you’re on the road. Ultimately, there are a whole lot of different backpacks out there, so it really all comes down to what’s best for your needs. Whether you’re a mountain biker, rock climber, or someone who just wants to travel the world, what’s important is that you first identify the features you need from a backpack and use this information to guide you as you shop.